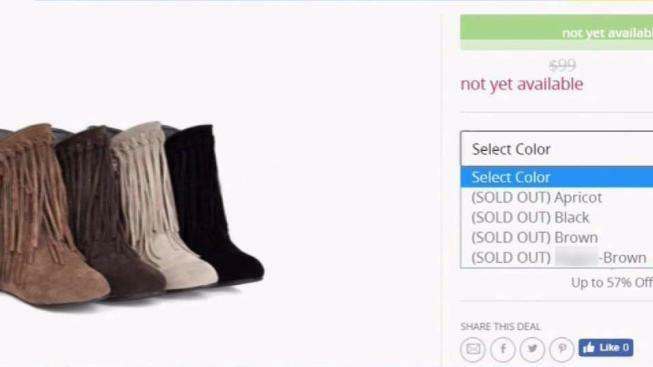 New Yorkers were outraged after a shopping app had a listing that used a racial slur to describe the color of a pair of boots. Rana Novini reports. The online-deals website Groupon is apologizing after a third-party vendor used the n-word to describe a pair of boots it was selling. Screenshots of the racist ad were being shared on social media Wednesday, with some people saying they would boycott Groupon. In the ad for “Women's Fringed Suede Moccasin Boots,” the n-word was used to describe one of the colors the footwear was available in. In a statement, Groupon said it took action as soon as it learned about the offending ad Wednesday. The company said it removed the third-party seller and pulled the deal from its website. CJ James, a minister in Harlem, was on Facebook when he saw a post with a screenshot of the ad. He said he didn’t believe the screenshot was real, but when he went to the Groupon site, he saw the slur. “I felt heartbroken. I felt embarrassed. I felt ashamed,” James said. He says the statement from Groupon isn’t enough and that he wants a boycott of the website to battle the larger problem of racism in America. “It was exposed on Groupon last night, but there are other vendors. There’s people who think and believe that these words should be part of our everyday English dictionary,” he said.